I delete my video file accidentally, how to recover it? How can I recover a video file I accidentally deleted, it is the Christmas video with my family?? Permanently delete video files from the Recycle Bin how to undelete it?? Delete video file with SHIFT+DEL for mistake, how to recover video files? Accidentally format my SD card in camera, how to unformatted video files? Besides deleting, formatting video files by our mistake, digital recorder or camcorder memory card error, corruption of hard ware, virus attacking will cause the video files loss. So the best thing we can do is, backup you files especially in the portable storage devices timely because they are unstable than your computer hard disk. Fortunately, if you lost your video files cause the matter above without backup, you can still recover them with third-party video recovery software. The reason is, when deleting a video file, it’s doesn’t actually deleted, formatting is the same. It just marks the space as available to be used. If you haven’t reused this space, the data is still there so you can recover the deleted or formatted video files. So, if you recover them with video recovery software immediately after deleting without overwritten, you get the chance! 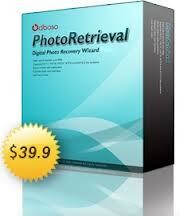 For the Mac version, download photo recovery for Mac. While rescue deleted or lost video files from computer hard disk or external removal devices, save your recovered video files to a different path where your video lost. 1. Do not record videos or take photos when your camera or camcorder in low battery. 2. Do not pull out digital cable or SD card when you are transferring videos files to your computer. 3. Scan your device with Anti-virus to keep your device a better performance. 4. Most important and safe, do backup your files timely. Do not leave all your video files in your camera card for a long time. Recover videos accidentally deleted from iPhone?